Yes, it is predictions time. Let me start by saying that no market change happens in a single year. Therefore, what is important is to look at the nuance of a market or a technology change in the context of its evolution. So, it is in this spirit that I will make a few predictions. I’ve decided to just list my top six predictions (I don’t like odd numbers). Next week I will add another five or six predictions. Cloud computing will move out of the fear, uncertainty and doubt phase to the reality phase for many customers. This means that large corporations will begin to move segments of their infrastructure and applications to the cloud. It will be a slow but steady movement. The biggest impact on the market is that customers will begin putting pressure on vendors to guarantee predictability and reliability and portability. Service Management will become mainstream. Over the past five years the focus of service management has been around ITIL (Information Technology Infrastructure Library) processes and certification. There is a subtle change happening as corporations are starting to take a more holistic view of how they can effectively manage how everything that has a sensor, an actuator, or a computer interface is managed. Cloud computing will have a major impact on the growing importance of service management. Cloud service providers will begin to drop their prices dramatically as competition intensifies. This will be one of the primary drivers of growth of the use of cloud services. It will put a lot of pressure on smaller niche cloud providers as the larger companies try to gain control of this emerging market. It is not a stretch to state that the pace of technology acquisitions will accelerate in 2010. I expect that HP, IBM, Cisco, Oracle, Microsoft, Google, and CA will be extremely active. While it would be foolhardy to pick a single area, I’ll go out on a limb and suggest that security, data center management, service management, and information management will be the focus of many of the acquisitions. Social Networking will become much more mainstream than it was in 2009. Marketers will finally realize that blatant sales pitches on Twitter or Facebook just won’t cut it. We will begin to see markets learn how to integrate social networking into the fabric of marketing programs. As this happens there will be hundreds of new start ups focused on analyzing the effectiveness of these marketing efforts. Information management is at the cusp of a major change. While the individual database remains important, the issue for customers is focus on the need to manage information holistically so that they can anticipate change. As markets grow increasingly complex and competitive, the hottest products in 2010 will those that help companies anticipate what will happen next. 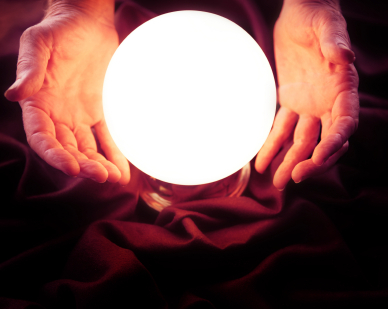 So expect that anything with the term predictive analytics to be hot, hot, hot. 1. Late 1970s – The mainframe will always be the prevalent computing platform. The minicomputer is a toy. 2. Early 1980s – The PC will never be successful. It is for hobbyists. Who would ever want a personal computer in their home? And if they got one, what would they ever do with it — keep track of recipes? 3. Mid-1980s – The minicomputer will prevail. The personal computer and the networked based servers are just toys. 4. Mid-1980s – The leaders of the computer industry — IBM, Digital Equipment Corporation, and Wang Laboratories will prevail. 5. Early 1990s – The Internet has no real future as a computing platform. It is unreliable and too hard to use. How could it possibly scale enough to support millions of customers? 6. Early 1990s – Electronic Commerce is a pipe dream. It is too complicated to work in the real world. 7. Mid-1990s – If you give away software to gain “eyeballs” (the popular term in the era) and market share you will fail. I could mention hundreds of other assumptions that I have come across that defied the conventional wisdom of the day. The reality is that these type of proof points are not without nuance. For example, the mainframe remains an important platform today because of its ability to process high volume transactions and for its reliability and predictability. However, it is no longer the primary platform for computing. The minicomputer still exists but has morphed into more flexible server-based appliances. The PC would never have gotten off the ground without the pioneering work of done by Dan Bricklin and Bob Frankston who created the first PC-based spreadsheet. Also, if the mainframe and minicomputers had adopted a flexible computing model, corporations would never have brought millions of unmanageable PCs into their departments. Of the three computing giants of the late 80s, only IBM is still standing. Digital Equipment was swallowed by HP and Wang was bought by Getronics. The lesson? Leaders come and go. Only the humble or paranoid survive. Who could have predicted the emergence of Google or Amazon.com? In the early days of online commerce it was unclear if it would really work. How could a vendor possible construct a system that could transmit transactions between partners and customers across the globe? It took time and lots of failures before it became the norm. My final observation is actually the most complicated. In the mid-1990s during the dotcom era I worked with many companies that thought they could give away their software for a few dollars, gain a huge installed base and make money by monetizing those customers. I admit that I was skeptical. I would tell these companies, how can you make money and sustain your company? If you sell a few million copies of your software revenue will still be under $20 million — before expenses which would be huge. The reality is that none of these companies are around today. They simply couldn’t survive because there was no viable revenue model for the future. Fast forward almost 20 years. Google was built on top of the failures of these pioneers who understood that you could use an installed base to build something significant. So, as I start to plan to predict 2010 I will try to keep in mind the assumptions, conventional wisdom, successes and failures of earlier times. Just when it looked clear where the markets were lining up around data center automation and cloud computing, things change. I guess that is what makes this industry so very interesting. The proposed acquisition by HP of 3Com is a direct challenge to Cisco’s network management franchise. However, the implications of this move go further than what meets the eye. It also pits HP in a direct path against EMC with its Cisco partnership. And to make things even more interesting, it also puts these two companies in a competitive three way race against IBM and its cloud/data center automation strategy. And of course, it doesn’t stop there. A myriad of emerging companies like Google and Amazon want a larger share of the enterprise market for cloud services. Companies like Unisys and CSC that has focused on the outsourced secure data centers are getting into the act. I don’t think that we will see a single winner — no matter what any one of these companies will tell you. The winners in this market shift will be those companies can build a compelling platform and a compelling value proposition for a partner ecosystem. The truth about the cloud is that it is not simply a network or a data center. It is a new way of providing services of all sorts that can support changing customer workloads in a secure and predictable manner. In light of this, what does this say for HP’s plans to acquire 3Com? If we assume that the network infrastructure is a key component of an emerging cloud and data center strategy, HP is making a calculated risk in acquiring more assets in this market. The company that has found that its ProCurve networking division has begun gaining traction. HP ProCurve Networking is the networking division of HP. The division includes network switches, wireless access points, WAN routers, and Access Control servers and software. ProCurve competes directly with Cisco in the networking switch market. When HP had a tight partnership with Cisco, the company de-emphasized the networking. However, once Cisco started to move into the server market, the handcuffs came off. The 3Com acquisition takes the competitive play to a new level. 3Com has a variety of good pieces of technology that HP could leverage within ProCurve. Even more significantly, it picks up a strong security product called TippingPoint, a 3Com acquisition. TippingPoint fills a critical hole in HP’s security offering. TippingPoint, offers network security offerings including intrusion prevention and a product that inspects network packets. The former 3Com subsidiary has also established a database of security threats based a network of external researchers. But I think that one of the most important reasons that HP bought 3Com is its strong relationships in the Chinese market. In fiscal year 2008 half of 3Com’s revenue came from its H3C joint venture with Chinese vendor, Huawei Technology. Therefore, it is not surprising that HP would have paid a premium to gain a foothold in this lucrative market. If HP is smart, it will do a good job leveraging the many software assets to build out both its networking assets as well as beefing up its software organization. In reality, HP is much more comfortable in the hardware market. Therefore, adding networking as a core competency makes sense. It will also bolster its position as a player in the high end data center market and in the private cloud space. Cisco, on the other hand, is coming from the network and moving agressively into the cloud and the data center market. The company has purchased a position with VMWare and has established a tight partnership with EMC as a go to market strategy. For Cisco, it gives the company credibility and access to customers outside of its traditional markets. For EMC, the Cisco relationship strengthens its networking play. But an even bigger value for the relationship is to present a bigger footprint to customers as they move to take on HP, IBM, and the assortment of other players who all want to win. The Cisco/EMC/VMware play is to focus on the private cloud. In their view a private cloud is very similar to a private, preconfigured data center. It can be a compelling value proposition to a customer that needs a data center fast without having to deal with a lot of moving parts. The real question from a cloud computing perspective is the key question: is this really a cloud? It was inevitable that this quiet market dominated by Google and Amazon would heat up as the cloud becomes a real market force. But I don’t expect that HP or Cisco/EMC will have a free run. They are being joined by IBM and Microsoft — among others. The impact could be better options for customers and prices that invariably will fall. The key to success for all of these players will be how well they manage what will be an increasingly heterogeneous, federated, and highly distributed hardware and software world. Management comes in many flavors: management of these highly distributed services and management of the workloads. Is there a Twitter sneak attack in our future? Last year I wrote a post about what I called the Google Sneak attack. If you don’t feel like reading that post, I’ll make it simple for you. Google comes to market as a benign helpful little search engine that threatened no one. Fast forward a decade and Google now pulls in more ad revenue than most of the television networks combined. It has attacked Microsoft’s office franchise, is playing a key role in the cloud via Platform as a Service (Google AppEngine), not to mention the importance of its entry into the book business and who knows what else. But let’s turn our attention to Twitter. I’ve been using Twitter since 2007. For the first several months I couldn’t quite figure out what this was all about. It was confusing and intriguing at the same time. In fact, my first blog about Twitter suggested that the Emperor has no clothes. 2. A partner ecosystem has grown up around Twitter. A post from February by Matt Ingram of Gigaom echos this point. 3. The number of individuals, large corporations, and small businesses are using Twitter as everything from the neighborhood water cooler to a sales channel. What does mean? Despite detractors who wonder what you can possibly accomplish in 140 characters, it is becoming clear that this company without a published business plan does have a plan to dominate. It is, in fact, the same strategy that Google had. Which company would have been threatened by a small search company? And who could be threatened from a strange little company called Twitter that asked people to say it all in 140 characters? Today Twitter claims to have 18 Million users about 4% of adult internet users. I suspect that we will begin to see a slow but well orchestrated roll out of services that leverage the Twitter platform. I suspect that we will see a combination of advertising plus commercial software aimed at helping companies reach new customers in new channels. I am confident that within the next two years this small, profitless, patient company will roll out a plan targeting social networking world dominance. It will be fun to watch.